We, SVM Wrappings Private Limited, established our operations in 1990, as one of the preferred manufacturers, suppliers and exporters of a wide range of Wrapping, Packing & Sandwiching Machines. We have been in the industry for almost two decades now, and have always tried our best to meet the exact needs of our clients. Our machines are highly suitable for packing different products in various sizes and shapes. Our products are specifically designed and have robust construction to provide excellent results and high functionality. 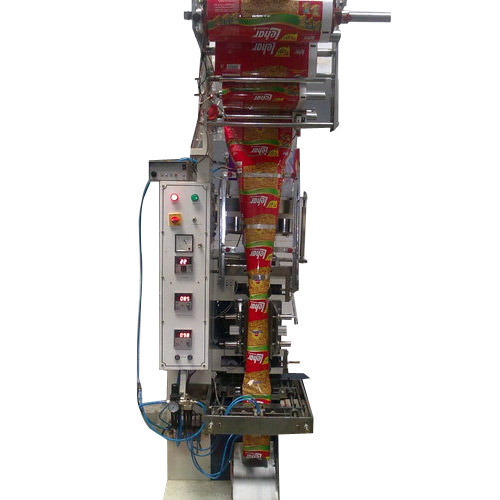 Our product-line includes wrapping machines, packing machines and chute wrapping machines. We have established a world class infrastructure that is equipped with the latest and advanced machinery so that our products are efficient and durable. We manufacture our products on the basis of set industrial standards and norms in order to ensure precise and effective products. We have a team of experienced professionals that is well trained to follow our strategy of offering optimum quality products at affordable prices. From the very beginning, we were determined to provide our clients with superior quality outputs, and to continue with this strategy, we keep ourselves constantly updated with the latest technological advancements.